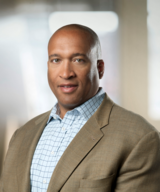 Keith Matthews: Professionally, my first job out of college was as a credit analyst and later a middle-market loan officer at what is now JPMorgan Chase. With that background – and with a finance degree from college – I knew early on in my career that I wanted to focus on transactional work. After law school, I was a corporate lawyer at Morgan Lewis & Bockius, based in Philadelphia and Singapore. I then went into management consulting with Deloitte Consulting, and after a few years I returned to practice law, working on private equity and venture capital in New York and San Francisco in a law firm that eventually merged with O’Melveny & Myers. During that time, I went on secondment for a year to the African Development Bank (then based in Tunis, Tunisia), where I represented the bank in public and private financings. That was my first real exposure to development work, and it involved project financing where they looked at the holistic effect of projects on the community. From these experiences, I realized a few important points. First, I enjoyed working with smaller teams, where I had a wide array of responsibilities and experiences. On the personal front, having grown up in an underserved community – South Jamaica, Queens – I have always looked for opportunities to give back to my community. Living abroad and working at the African Development Bank helped me think of my community as a much larger body than just my immediate surroundings. Soon after I returned to the U.S. from Tunisia, a job opened up at the Bill & Melinda Gates Foundation – deputy general counsel for Global Development. The foundation’s guiding principle of “Each Life Has Equal Value” was aligned with my values and spoke to my desire to help make a positive impact in the world. What was particularly interesting to me was that in addition to working in development, the Gates Foundation had started doing PRIs, or program-related investments. Those are venture capital investments, loans and guarantees that are done for charitable purposes. I thought that was fascinating and an important role for philanthropy. Finally, the foundation’s legal team was well managed, cohesive, sophisticated, bound by similar values and handled a wide variety of work. As such, the deputy general counsel role represented a unique opportunity and a great combination of my interests, experiences and passions. Did having a finance background help you in your legal career? Yes. Not being afraid of the business terms, not being afraid to do a cap table – that was important. In my first work experience after law school, at Morgan Lewis, having the skill set of a banker from Wharton gave me an advantage and a level of maturity, as well, because I worked for four years before going to law school. And at O’Sullivan Graev & Karabell, where the lawyers were business-minded and solutions-oriented, that skill set was valued and led to some fantastic opportunities. At the Gates Foundation, having a business orientation fit in well with the culture on the legal team. The culture here focuses on understanding the business, the risk appetite and the business objectives of the organization, and how the legal team can help achieve that. Here, the objective is saving lives. When I was in private practice, it was, How can we make this a more efficient transaction for our client? Can we save them money and reduce risk? In general, understanding what’s important to your client is what really makes you an effective lawyer. The Gates Foundation is committed to diversity. How does that relate to the legal team and its initiatives? The legal team here at the foundation has a fair amount of diversity. I’m the only male deputy general counsel, and we have an African-American woman who’s a director of legal, as well. When I walk into a leadership team meeting with Connie Collingsworth, the foundation’s chief business operations officer and head of legal, I’m the only male in the room. Overall, there are five or six men on a legal team of about 30. Having that diversity creates a comfortable and safe environment, and it gives you further comfort that the foundation and the legal team are doing the right thing and value what you bring to the table. The legal team has now started to focus on how we can help drive diversity in the legal profession. We recently did an RFP for legal services for PRIs, which was a first for us. The initial question for us as we go through this process will be, Do they have experience in tax-exempt organization work, in doing PRIs? If they do, great. Then we’ll consider other factors, and diversity is going to be one of the key ones. How diverse is their leadership? Have they signed on to ABA Resolution 113? How are they staffing our deals? We’re going to look at their numbers related to diversity. How have they improved or changed over the last three years? If the numbers changed in a negative way, then we’ll ask why. For all of our law firms – not just those working on PRIs – we’ll be looking at those numbers on an annual basis. I think that’s how we’ll help drive diversity, equity and inclusion at the law firms we’re working with. Large companies like Pepsi, Amazon and Microsoft have huge legal budgets for outside counsel, which gives them leverage in terms of encouraging diversity. However, like the private foundation world in general, we don’t have a huge legal budget, so our ability to move the needle at law firms might be limited. But the universe of organizations like ours that work with tax-exempt lawyers is not large. If a number of private foundations are using the same outside counsel, perhaps we can band together and say, this is important to all of us, so let’s work together on it. That could give us more leverage with law firms. I think that will be our approach in this space, in addition to working on the issue on our own. We often hear from people on the law firm side that it’s difficult to recruit and retain people of color. How can firms get past that? First, if you’re doing the same thing all the time, you’re going to get the same results. If you’re truly committed to diversity, equity and inclusion, you need to ask what can you do that’s different than what you’ve been doing – and then be intentional and consistent in your approach. If you can’t find people out of law school, where are you looking? If you’re only hiring from top-tier schools, maybe you should be looking at other places. Second, you can’t just bring people of color or women in and say, “We’re all equal. Go ahead and prosper,” because it won’t work. You’ve got to make a concerted effort to retain them and help them be successful. That can mean putting them in front of clients so they’re finding out what’s important to those clients. They need to have an opportunity to develop relationships with those lawyers and become the go-to people for those clients, which can help them develop their careers. Championing diverse candidates throughout their tenure at the law firm is going to be important, as well. Having a mentor is great, but having a champion at the law firm who is at a senior level and who will think about opportunities for that person and help them get those opportunities is key. The champion should obviously feel comfortable with the person’s skill set. But if you want to move out of the traditional mold of advancing careers, championing people of color and women is vital. It seems to me that to be effective, a diversity program can’t just passively treat everybody the same way. I agree completely. There have been studies saying that women and people of color don’t open up as much at work because they are more tentative and have some concerns. They tend to hold back on who they are, their authentic self, and not share their opinions or speak up as much. You’ve got to think about how to incorporate them into the workplace, and then how you can help advance their careers on the job as well. Looking at my own experience, when I was in high school and college, the students of color were a very small percentage, and they hung out together. Even though I was in an Ivy League institution, I didn’t mix that much socially with the non-students of color. Later, when you’re thrust into a work environment and it’s not something you’re used to, you have to sort of figure out how to navigate your way socially. People are comfortable with people who look like them, who have backgrounds that are similar to theirs. So people who are like the firm’s leadership tend to get the good work and the good opportunities. If people are not as comfortable with you and you’re not as comfortable with them either, you’re not getting those same sorts of opportunities. Then it becomes a self-perpetuating cycle. So, unless you’re thoughtful about not only bringing people in but also about how you bring them in and bring them along, you’re just going to have a continuation of the status quo. Do you have any advice for attorneys who are just starting out or are perhaps a few years into their career but at a crossroads? For those who are just starting out, I would say, look for a place where you can be the authentic you, where you don’t feel like you’re putting on a mask or a façade to be effective at work. Then, develop relationships. Relationships are important no matter what you do in life, and finding those people who can champion your career will be key. I think that will remain true for the rest of your career. It doesn’t matter whether you’re a first-year lawyer or a 20-year lawyer. You still have to build those relationships. When you’re a fourth- or fifth-year lawyer, I would recommend finding a job that brings personal fulfillment, assuming your financial situation allows it. That’s worked for me. The mission of the foundation – that each life has equal value – satisfies my soul and makes me happy to come to work every day. The challenges that I have are similar to what I had in private practice. I do deal work and negotiations. But I also do employment issues and work with governments on MOUs. And it’s all for the purpose of saving lives and improving the quality of life for people in the developing world or in the U.S. in education. That is what drives me every day and makes me proud to work at this place. I think money is great if you’re motivated by money. I think we all are to a degree. But you should find what else about the job motivates and drives you. Keith Matthews is Deputy General Counsel and Director, Legal for Global Development and Global Growth & Opportunity at the Bill & Melinda Gates Foundation. In that capacity, he primarily oversees legal work related to the foundation’s Global Development and Global Growth & Opportunity divisions. He also leads the legal team’s support of Program Related Investments—equity investments, loans and guarantees that are made primarily for charitable purposes. Prior to joining the foundation, Matthews was counsel at O’Melveny & Myers where he counseled private equity funds in a wide range of transactions, including growth equity and venture capital investments and mergers and acquisitions. Reach him at Keith.Matthews@gatesfoundation.org. Is That Volunteer Really An Employee?